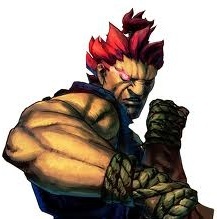 Everything about Akuma, reeks of awesomeness, from his demonic appearance, to his rough personality. He really is the true embodiment of a badass fighting machine and a richly evil villain that I wouldn’t want to cross paths with. He is essentially a “suped-up” version of Ken and Ryu with wicked side to boot. He is evil beyond words and he’s a character that makes being bad, feel so-so good. At first I wasn’t sure what particular spin to throw at this picture. At times it seems “my style” is all over the place and I often have trouble determining which route I’ll take to produce the ending result. Here I started originally with some more “comic bookish”, only to end up with a very generic almost boring version of Akuma, one that I had seen a thousand times already. “Shin Akuma” literally means “True Demon.” and the symbol on his back roughly translates to god among men. 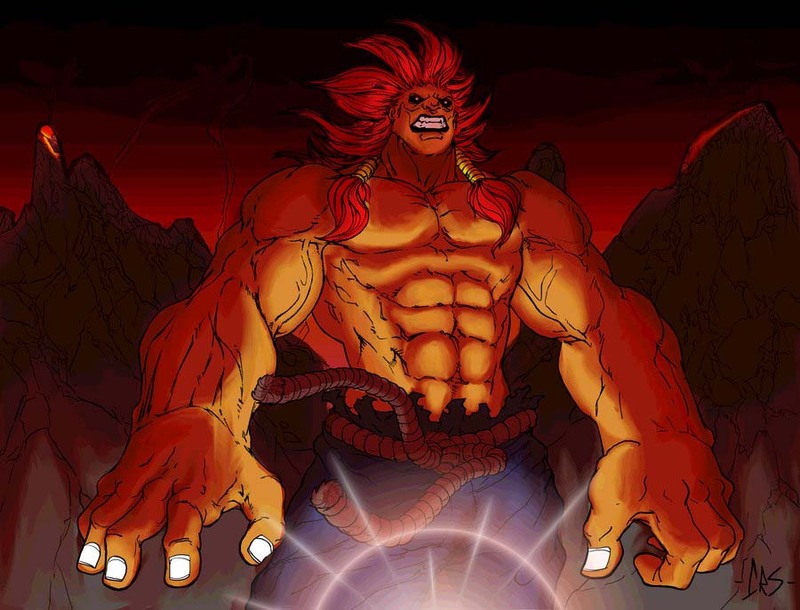 Akuma becomes Shin Akuma when he unleashes his full power. The immense energy surging through him turns his hair and the ki energy flowing around him white, but as it combines with his red Dark Hadou ki, it appear pink. Typically when he is standard Akuma he is grimacing, but when he no longer holds back and unleashes his true power he often dawns an evil grin. I’ve always loved the character Akuma, he is probably my all time favorite video game character, and Shin Akuma is his stronger form. What’s not to love? This is how I picture Shin Akuma if he were to get to a second stage, comparing to a super saiyen levels. His power would burn away his shirt, gloves and beads, and his hair would grow longer. I wanted to make him look like demon in human form, with pure evil destructive intent. The embodiment of the raging demon. 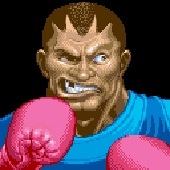 Akuma, otherwise known as “Master of the Fist”, had first appeared in Super Street Fighter II Turbo. 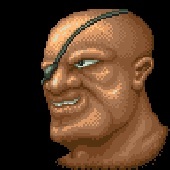 He is known as Gouki in Japan. Akuma in Japanese means “Devil”. 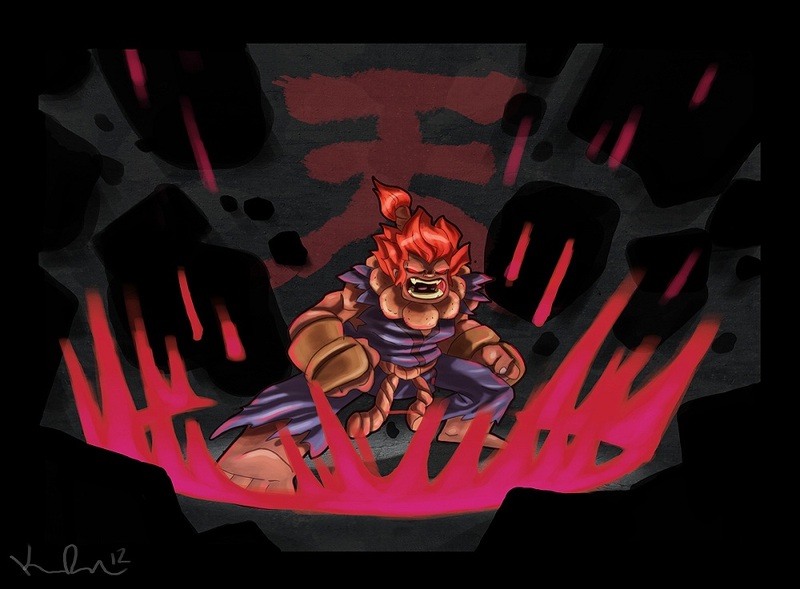 There are three other forms of Akuma. The first is Shin Akuma, and the second is Cyber Akuma the third is Oni (Oni Akuma in Japanese means Demon).